Amsterdam was great. I'd spent time there before as a tourist--and ever since moving to Bozeman seven years ago, I've had a bunch of one-night layovers on trips back from Istanbul and Moscow--but I'd never spent more than four or five days there at a time. On this occasion, I flew there from Bozeman at the beginning of September and stayed for eight days, renting an apartment through AirBnB. The apartment was on the west side of town and the research institute where I was working was on the east, so on my second day in town I rented a bike for a week and used it to get around for the duration of my stay. It was a fun routine. Every morning I headed off on my bike, following the Singelgracht canal on a loop, crossing the Amstel river once I was a little over halfway there. The first day when I crossed the Amstel, I felt like I was in the scene from ET when the kids riding their bikes suddenly fly up into the air. The schedule was nice. I'd work until 4:30 or so, then ride back toward the apartment. Pretty much every day I stopped off at the Spui to have "a knock to the head" (jenever and beer) and "hot balls" at a cafe that I've been going to for about twenty years. Jenever is a gin-like drink, and actually it's the original gin. But though it has a juniper taste, it's a bit different from what I'd normally associate with gin. It's served in a tiny little glass alongside a mug of beer, and people often eat hot fried balls filled with cheese, veal, or shrimp alongside them. After the Spui, I'd hang around in the Leidseplein or other places in the area before heading home. A blow to the head. But where are the hot balls? The weather was gorgeous the entire time I was in town--hot and sunny, with no rain whatsoever (a first in my experiences visiting Amsterdam). On the Sunday before I flew off to Istanbul, I biked out to Zaanse Schans, which is about seven miles northwest of town. It's a quite touristy little place, but it was fun to change gears a bit--so to speak--and do something different from sitting in a little room poring over documents. Do you know the way to Zaanse Schans? 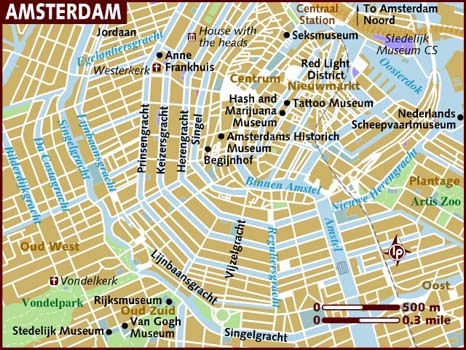 Throughout, Amsterdam was relaxing and friendly, which was nice preparation for Istanbul. 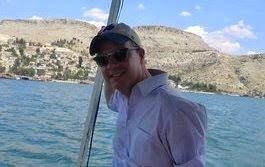 Normally, I'm totally psyched to head to Turkey, but I'll be honest: this time I was definitely feeling less enthusiastic about the trip than had been the case anytime previously in the twenty-four years that I've been going there. I wasn't really sure what to expect, despite the fact that things seemed to have calmed down a fair bit since the excitement of July. Especially because a number of Turkey's leading politicians, including its president, alongside their allies in the Turkish media had been making a habit of stating that the US government had supported, or even helped to plan, the coup attempt. So, I didn't really know what kind of reaction I'd get. In the end, it was fine--at least for a relative outsider like myself who has no real personal stake in the ugly and absurd political developments that are taking place in Turkey presently. Strictly from the perspective of the operation of research facilities in Istanbul, everything is more or less "normal." Yes, it felt a bit eery being pretty much the only westerner that I saw pretty much anywhere in town--either on the street or in the archives--but in every place that I visited in an official capacity--the Ottoman archives and a few libraries in town--I was treated well and able to get the materials I wanted. I also bought a boatload of books, including some really great old stuff from Kubbealtı, the king of the photocopy men, who makes copies from digitized versions of old out of print books and then professionally binds them--complete with a little string to use as a bookmark--for a very reasonable price. 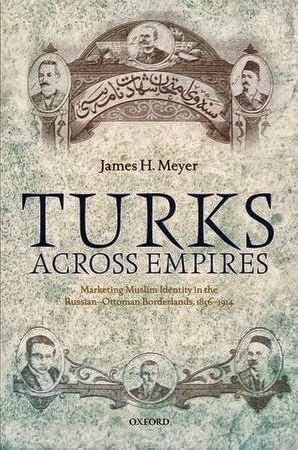 For whatever reason, he has lots of stuff on Russian-Ottoman interactions, so I always find something that I want on his catalogue. Working in the archive was also a bit of a revelation for me. I hadn't been there since 2009, back when they were located in Sultanahmet, so I didn't really know what I'd make of their new location out in Kağıthane. It's not charming and it takes a while to get there, but it's not too hard to get out that way. I took the 48T bus from the first stop on the hill that goes up to Taksim from Dolmabahçe Palace. From there, it's about a ten-minute bus ride through two long tunnels. The Ottoman archives have their own bus stop, so it's pretty hard to miss once you get there. Inside the archives, most of the documents that I wanted to look at have been digitized. Back when I was researching my dissertation and then book in the archives from 2004 to 2009, we would be given the actual documents, and then would order what we wanted photographed (maximum twenty-five orders per day), and pick up a CD with the photographs within a day or two. Now, almost everything is digitized and you can see it on the monitor right in front of you. And you can order as much stuff as you want, which led to me making a crazy number of orders. At roughly ten cents an image, I ended up spending about $700 on this. As usual, one of the best parts of being in Istanbul was...just being in Istanbul. I have a lot of friends and haunts dating back to various times I've spent in the city. Some of these go back to the 90s, when I taught English there. But others are from other times. After leaving Istanbul in 1999, I think there's just been one year--2002--when I didn't go back. On some occasions I've just visited for a month or so, on others--like when I was in graduate school or on my postdoc--I spent six or seven months there. Some friends I've known from more than twenty years, and I still see them when I visit. Other friends are newer, people that I met when I was researching there in graduate school or afterward. So it's not such a shock to the system when I see my friends, or visit the old places where I used to live and hang out regularly, because I've been seeing them on a regular, if no longer constant, basis ever since I left. This was, however, probably the first time I've visited Istanbul where I felt more like a visitor than a resident who just happens to live in another country. I remember going for a hike with a colleague of mine a couple of years ago who asked me where I felt most at home. Without even thinking about it, I answered "Istanbul." But now I had to admit that Bozeman feels more like home to me than anyplace else. Part of this has to do with the fact that I'm tenured now and feel less self-conscious about embracing the place where I live. Part of this also has to do with the grotesque events that are taking place in the country right now. All in all, I ended up spending about a month in Istanbul. When you're working in the archives and seeing friends, it never seems like you have enough time, but by the time this month was over I was ready to move on. From Istanbul I flew back to Amsterdam for a couple of more days. This time, instead of renting an apartment, I stayed on a boat that had been converted into a hotel. It was a cool place. The rooms were tiny, but they always are in Amsterdam lodging. It was about ten minutes from the train station, which is always an advantage when staying in town for a short period of time. I spent another full day at the institute doing research, and then flew off to Russia on Tuesday morning. I've been in Moscow for a week now, with much of this time spent looking for an apartment. If I ever find one, you'll probably be able to read about it here. More shotz from Amsterdam-Istanbul-Amsterdam can be found here.